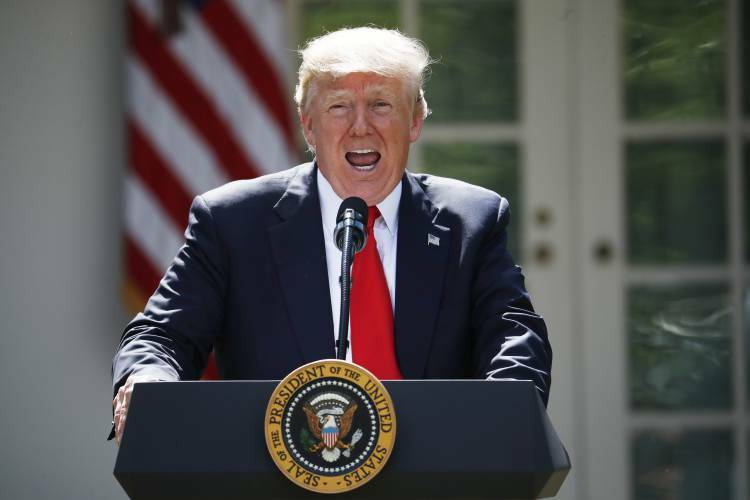 Donald Trump announced on Thursday evening about abandoned from Paris deal saying that,’He want the more fairer deal that would not disadvantage for American workers’. Trump again said withdrawing the deal that,’He kept his campaign promise that he will keep America workers first’. So, he kept his promise. He said,’If we get a better deal, That would be great. If not, It’s fine. “If the terms are fairer for the US, It’s people, It’s Business and It’s taxpayer. Then we would think to Re-Enter or Negotiate or Entire New Transaction with Paris Climate Deal” Said Trump. Trump said that’Barack Obama Administration Negotiated Poorly with Paris Deal and signed out of distress.So, Entering back to deal, It would be Disadvantage for the US. Trump was repeatedly pressed by his Administration Advisory Council and European leaders to stay in Deal. Many Corporate leaders Like Apple, Google and Walmart and Fossil fuel companies have appealed to trump to stay to pack. Quitting from Paris deal Trump said,’China will be allowed to build hundreds of additional coal plants. We can’t do that according to this agreement. Even India can double their coal production by 2020. Even Europe can construct its coal plant. So, Paris accord is very unfair at the highest level for the United States. After the US getting aside from Paris Climate Deal. Paris Agreement asks him each of its 194 countries after the US pulls out. To make self-determined ‘contributions’ in the global fight against climate change. During Trump campaign trails he had promised that he will pull the US out from Paris climate agreement. He said The Paris agreement is less about the climate and more about gaining financial advantage to other countries over the US. Bill Clinton has Criticises the Trump decision on Agreement. Facebook Founder Mark Zuckerberg said that’Withdrawing from the agreement is bad for Environment, Bad for Economy and it will put our children’s future at risk. However the withdrawal of US will not be so immediate. According to an agreement, A member country cannot withdraw for the first three years after accepting it. After this period is over than that country has to give one year notice period than only a member country can withdraw from the Deal. As per this actual exit, It will not happen until well after Trump’s current Presidential term is over.